A Tory planning minister has admitted that the coalition’s new wave of garden cities would not have to contain a single affordable home, despiteNick Clegg‘s claims that they would offer low-cost accommodation andhelp solve the UK’s housing crisis. As the government unveiled plans for new garden cities containing 15,000 homes each, it emerged that developers would not need to reserve a certain proportion of the properties for those struggling most with the cost of living. Asked by Labour whether the first garden city in Ebbsfleet would contain low-cost homes, Nick Boles, a Conservative minister, said the government would “not impose a particular level of affordable housing for housing schemes”. “Unrealistic Section 106 agreements [which specify how many affordable homes should be built] result in no development, no regeneration and no community benefits,” he added. Under changes brought in by the coalition, developers can challenge requirements for affordable housing imposed by councils, with some firms arguing that they depress the prices they can get for properties in the rest of the development. Clegg said a new wave of garden cities would “provide affordable homes, good schools, and jobs for the next generation, whilst at the same time preserving the countryside” as he invited communities to bid for funding from a £2.4bn pot to host the new developments by 2020. Clegg said he hoped that a new set of cities would help create an “ark of prosperity” in the south-east, where people wanted to live but were currently unable to find houses. Labour accused the government of failing to tackle the housing crisis early enough and of ignoring the issue of whether any new homes would actually help those struggling to find affordable accommodation. A spokesman for the Department for Communities and Local Government confirmed there were no Whitehall targets for the number of affordable homes in garden cities. A government decision to let housing developers scrap affordable homes to maintain profits is “storing up trouble for the future” and fuelling nimbyism, a leading Tory council has warned. The leadership of Milton Keynes has complained that the decision to water down the requirement for developers to include affordable homes in their plans was a reaction to “squeals” from the construction industry. Twelve months ago ministers amended planning laws to make it easier for developers to renegotiate deals with town halls over the number of affordable homes they must supply. Now, in an act of open rebellion, Milton Keynes’s Tory leadership claims the policy has “swung the balance much too far in favour of the developers”. If the policy persists, the town will build 500 fewer affordable homes over the next five years, according to its figures. For example, the developer of 211 homes at Bletchley that was due to include 63 affordable homes recently successfully resubmitted plans with no affordable homes at all, on profitability grounds. The attack will be particularly embarrassing for George Osborne, who last month used Milton Keynes, earmarked for a 28,000-home expansion, as an example of how “our predecessors had the ambition to build for Britain”. Hopkins claimed the problem has been caused by ministers treating builders as “poor lambs” after they “squealed” about the viability of developments where they were required to build 30% or more affordable homes. He has written to the planning minister, Nick Boles, demanding he drop a policy “that unfairly and inappropriately favours the interest of developers over the needs of present and future residents”. The policy was introduced in reaction to falling property values, and councils have been told they must take account of commercial viability calculations in order to prevent schemes stalling. But with rapidly rising house prices – up 9.5% on the same time last year, according to Nationwide – there is growing pressure to drop it. Boles told the Guardian that planning deals negotiated during the last housing boom are “economically unrealistic, meaning no development, no regeneration and no community benefits”. But since 2010 the construction of affordable homes nationwide has fallen sharply from 60,480 to 42,830 in 2012-13, well short of the equivalent of 55,000 a year the government plans to build between 2015 and 2018. Labour’s shadow housing minister, Emma Reynolds, called for the policy to be scrapped. 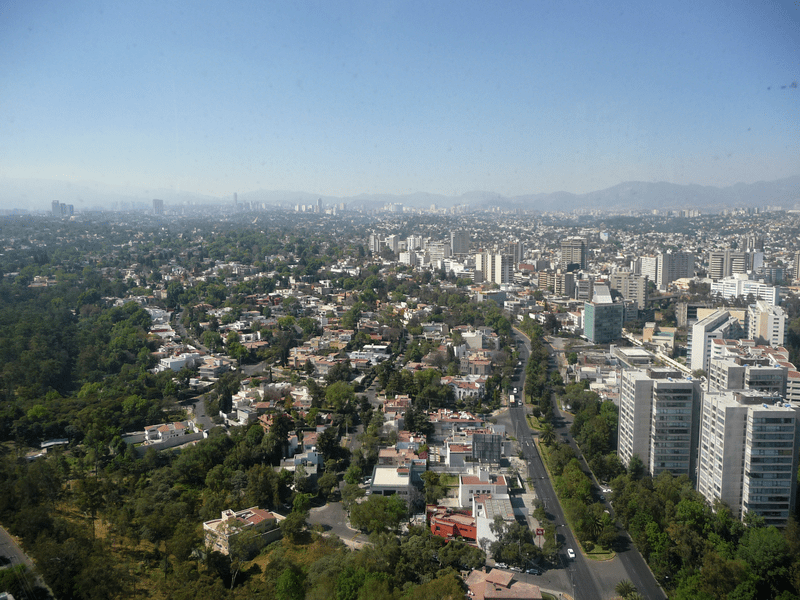 An investigation last autumn found that of the 82 biggest housing developments in 10 cities, 60% fell short of local affordable housing targets. Last week the launch of 600 flats designed by the architect Frank Gehry at Battersea Power station was engulfed in controversy after it emerged none would be “affordable”. Milton Keynes has threatened to mount legal challenges to developers who insist they can only build homes profitably if social housing is cut. I smoked the substance then threw away the seeds from the window and they fell into our garden where they grew. But since we have a cat that keeps messing the plants, my mother removed them from the garden into pots and placed them on the balcony,” said the Emirati defendant S F, 31, at the Criminal Court yesterday. Funded by BBC by Beno Saradzic. From a skyscrapers eye view. Not taking with a movie camera but still with timed exposures. As the camera dollies, zooms and pans I was left thinking how the **** did he do that. He must have a very clever rig to do it without camera shake. The closing credits give the answer. The Nobel Foundation has insisted that a campaign to block David Chipperfield’s Nobel Centre will not succeed in moving it to another part of Stockholm. The site, on a promontory in the heart of the Swedish capital, was donated by the city authorities which has been saving it for just such an international cultural project, a spokeswoman told BD. Thousands of protestors have joined a Facebook group objecting to plans for a “monumental building” in a “fragile” part of the city. And nearly 2,000 have signed a petition against the plans, with 400 adding their names in the week since Chipperfield was named winner of the international design competition. They are particularly upset that construction of the Nobel Centre will result in the relocation of ferries and the demolition of a number of historic harbourside buildings in the Blasieholmen area. These include the Customs House, dating from 1876 and designed by Axel Fredrik Nystrom, architect of the capital’s Old National Archives and the Naval Academy. Stockholm’s last two surviving wooden harbour warehouses, dating from around 1910, are also due to go. Caroline Silfverstolpehe of the Preserve Blasieholmen network, described Chipperfield’s design as a “giant colossus – a de facto convention centre on the mediaeval quayside pillaging everything in its path”. In a fast-developing city, buildings that speak of its past are more important than ever, she said. “[The Nobel] is obviously an important part of Sweden and its history that absolutely deserves to get a special place,” she wrote on the website Stockholm Skyline. She said such campaigns were a typical part of the planning process in Stockholm. The public could have its say through a consultation process that has just begun. Chipperfield, who was not available to comment, will now work on detailed plans with a view to submitting the project for planning in the autumn. The architect was replaced on the redevelopment of the Geffrye Museum in east London after protestors objected to his plans to demolish a Victorian pub. But its plans for Elizabeth House were approved by a planning inspector despite complaints that it would damage views from the Westminster World Heritage Site. Some of My favorites for stretching the term. Ajman Garden City. If you want cheap and not so cheerful housing – with an conference of international urban planning expertese ‘sponsered by the University of Wolverhampton’ Ajman is your place. 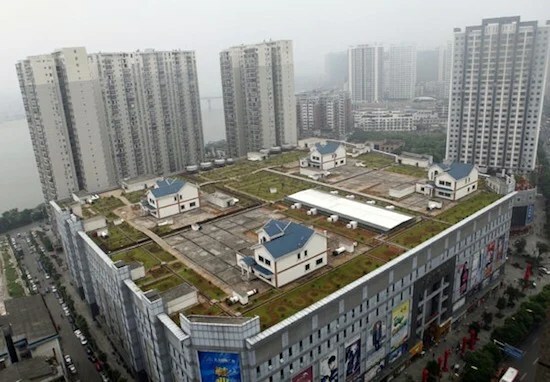 Zenzou Garden City China – a real image not a joke – what not build a garden city on the roof of a mega mall. You could fit Letchworth on top of Dubai Mall. Westfield Garden City Perth – From the biggest mall developers in the world in the most provincial city in the world. What could possibly go right. 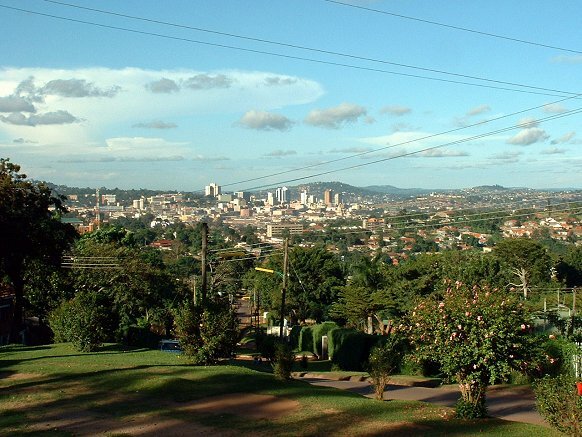 Kampala Garden City – Designed by the British – landscape only plots for housing. Now the knobs/Ngos/Embassies quarter. Miss it. 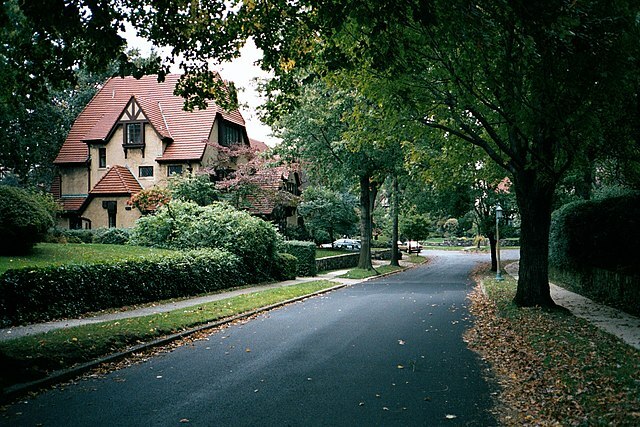 Village of Garden City Long island – unfair a mid 19th planned community around 5 railways stations. Likley EH got the term, and concept of teh social city, from this development from his first states visit. Now famous for zoining to keep out black people and losing court battle to do so. Garden City Kansas – just try crossing the road. Dresden Hellerau Garden City – better than Letchworth even and Unwin would have agreed. Zlin Garden City Czech Republic – very nice, especially if you are a fan of Bata shoes (who isnt). Powell River Britsih Columbia – the whole town a national monument. Another of my Favorites Tiong Bahru in Singapore. Built by the chinese Ironically the Singaporians and from them the Chinese learned from this they medium rise housing could not scale or be built fast enough to cope with rapid urbaanisation. There are hundreds, only England stopped building them, please send in your favorites. I am trying to search for my favoritesovient built contructivist example in the Baltic, ill try and remember. Unlike the previous Government’s Eco-Towns programme, this is a local solution, giving communities the power to choose sites, plans and designs for Garden Cities, not (sic) rather than Whitehall imposing what it thinks best for local people. A line also clumsily edited out of the appendix at last minute by the PM/DPM – and not proof read, and it shows. So what do they mean by ‘Garden City’ To immunise themselves on this they quote the TCPA principles -without any editing – including the principles of land value capture and long term community stewardship of assets. The only change is to mark down land value capture from point 1 to point 2, and deletion of the concept of social city, well Ebenezer was a libertarian socialist (great Friend of Anarchists Geddes and Kropotkin) and this hinted way to much of regional planning – afterall it was the origin of regional planning, the condemns liking. On that small point Ol Uncle Ebenezer would have curled slightly his mustache – but then he was always a supreme pragmatist. integrated and accessible transport systems – with a series of settlements linked by rapid transport providing a full range of employment opportunities (as set out in Howard’s vision of the ‘Social City’). Very short – nothing at all about setting down a positive enabling government (including legislative) framework. Nothing at all about testing and comparing site options as part of a ‘larger than local’ approach – including of course alternatives of releasing existing Green Belt. The assumption presumably is that the LPAs will do this – but how can they express an interest and how can a government back these unless they are already part of a local Plan process. Hence this prospectus will simply back those already in the system and wont bring forward any new Garden Cities, least of all where they are most needed and most suited. The government, as at Ebbsfleet, is only offering to overcome barriers to delivery, not any other barriers, least of all those created by nimbys. I note that the expressions of interest checklist says nothings about stating methods for capturing land value uplift, and failing to learn the key Ecotowns lesson whether or not alternatives have been considered. Nothing either about meeting wider government growth or infrastructure objectives or aligning with wider infrastructure planning (e.g. East West rail etc.). There is no requirement that the expressions of interest have to be put forward expressions of interest, the wording is very careful on this. Localities can only choose whether to support the scheme and design, not to lead on the scheme or design. ‘Locally led’ is the wrong term here they are landowner led and locally vetoed. Well its a start. What if the privatye sector put forward a proposal and the government likes it – will that be a material planning consideration on appeal? Certainly localities should be given the opportunity to veto as suggested but what if there then is an appeal? And if government backing is material then surely the submissions, like Ecotowns, would require an SEA? If governbment backing is in no way shape or form a material considerartion, providing a framework for development consents, then what is the point of the prospectus, other than pointing out what the large scale sites programme already does. A start of a long messy journey from a prime minister who has given a speech praising regional planning for Garden Cities but doesn’t like Labour doing it.